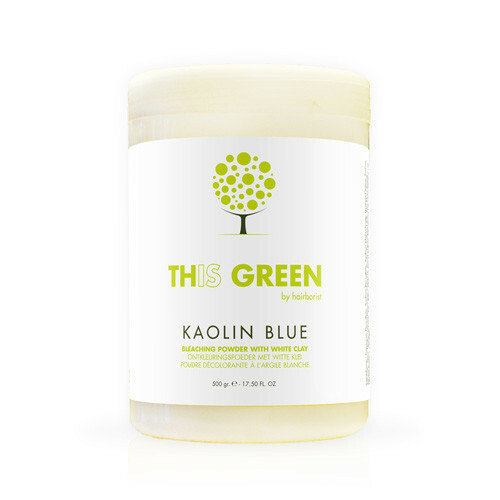 Kaolin White Clay from This Green gently brings out the pigment to lighten the hair. Thanks to this natural process, a complete transformation is possible: from all kinds of shades – blonde, light platinum, fiery red, deep purple… Everything is possible! This Green’s hair bleach is formulated from multiple natural ingredients. The process to discolor the pigments is achievable thanks to white clay. This natural clay softly discolours the hair fibre. The proteins hydrate and enhance shine while silica gives hair strength and elasticity.